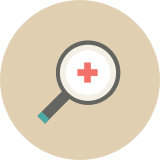 Once you’ve been diagnosed with AS, you and your doctor will decide on a treatment plan, which typically includes medication and exercise. While there is no cure for ankylosing spondylitis, treatment can help reduce the pain and stiffness it causes. NSAIDs, or non-steroidal anti-inflammatory drugs (such as aspirin, ibuprofen, naproxen), are used to treat pain and stiffness. These are usually the first medications doctors prescribe. Sometimes NSAIDs may not be helpful enough in reducing symptoms. Biologics (pharmaceutical products manufactured in a living system such as a microorganism or plant or animal cell) may be used if NSAIDs aren’t doing enough. Your doctor may suggest a biologic to help reduce pain and stiffness in your spinal joints. Your doctor may also consider other medications, such as sulfasalazine for pain and swelling in your peripheral joints and localized injection of corticosteroids (aka steroids), to help reduce pain and inflammation. Exercise and physical therapy may help relieve symptoms along with improving posture and flexibility. Your doctor may recommend a regimen of exercise and physical therapy as part of your treatment plan. Not treating AS can cause your pain to get worse over time. That’s why it’s so important to seek treatment for your signs and symptoms. Talk to your doctor and find out if you need to see a rheumatologist. can spread to the upper spine, rib cage, and neck. —and you can lose flexibility. 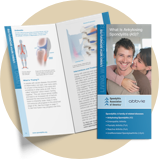 Sign up to receive a free brochure with valuable, actionable information about ankylosing spondylitis symptoms, diagnosis, and causes.